Wouldn’t it be awesome if we could always travel with someone who thought just like us when it came to crafting an ideal travel experience? Who always wanted to do the exact same things, woke up at the same time as you, and also had “people watching at an outdoor cafe sipping a cappuccino” as their ideal afternoon? 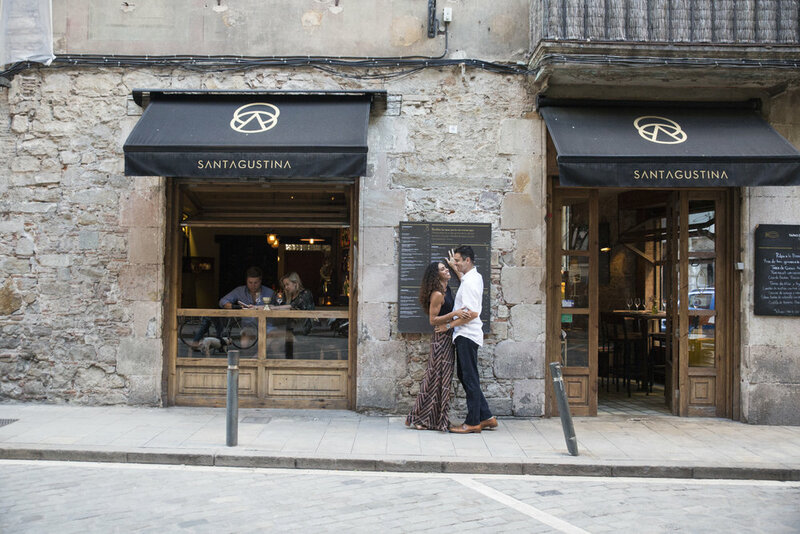 I recently had the honor of having the photo’s from our recent Couples trip to Spain on Flytographer’s blog entitled What To Do If Your Spouse Is Your Travel Opposite, and it touched on a subject many couples find themselves all too familiar with when they find their lifelong travel partner. I’ve only been married for less than a year, and for much of my life I enjoyed a lot of solo trips. There is no chance of anyone getting on my nerves after day 4 of being around them 24/7. But even if I do happen to appreciate and enjoy experiences on my own, I really like sharing them as well. I value the experiences with those closest to me, and they are some of my most precious memories. I have come to learn that there probably isn’t anyone on the planet who wants to travel exactly like I do, and some of the people I love most have entirely opposite travel styles. This includes my husband. Yup, compromise has yet again found it’s way into the relationship. If you’re preferred ideas for a dream vacation don’t always match up with your partners, there are still ways to make sure that both of you enjoy it. I truly believe it’s not that difficult to travel with someone who has a different travel style than you if you prepare for it. Here are some practical tips that will allow two different travel styles to blend perfectly in the same trip. My favorite plan for couples who enjoy different types of vacations is combining two different styles into one trip by splitting time in a destination that easily caters to both. Perhaps your partner is an adventure junkie, and your idea of adventure on vacation is deciding which book to breeze through next. I love a destination like Belize where your vacation can have the first half of the trip at a jungle lodge doing incredible activities like kayaking down the river, hiking, discovering Mayan ruins, exploring caves, and making the most of your time by being incredibly active. You can then make your way to Ambergris Caye and I find a hammock and a book. If necessary, your partner now gets to adventure in the water if they choose, and go on some incredible diving trips. It’s easy in a lot of destinations to combine adventure and relaxation.. city life and beach.. romance and culture.. whatever the case may be. Taking the time to plan and strategize ensures that both people get to experience what they’re after, and also is a way to expand on an already great trip! Yes, you are on a vacation with your significant other, but that really doesn’t mean that you must be joined at the hip. There are times when it feels nice to just spend some time wandering alone and getting lost in your own thoughts. Or perhaps, there are just certain activities you or your partner really enjoy, but that doesn’t mean you need the other person next to you to appreciate the experience. I realized a long time ago that I have a very low museum threshold. Whatever the guidebook says is the time you should allot, I probably need about a quarter of that. But if the person I’m traveling with wants to hear a guide go on and on for hours about the brush strokes in a certain masterpiece, they should be able to do that. And I should be able to people watch at a cafe down the street. Don’t be afraid to even join a small group tour for an experience that interests you. These tours are an excellent way to be surrounded by people interested in seeing and doing the same thing as you, and allow you to not feel “alone”, if you don’t prefer that. Sometimes opening yourself up to things outside of your norm or your comfort zone allows you to find different things that you love and appreciate. I used to not do many types of outdoorsy activities, and I never spent any real time making travel plans for domestic travel. But then I decided to go on my first Southwest Road Trip and I couldn’t believe how much I enjoyed it! Here I was hiking down the Grand Canyon, watching sunsets with the most unbelievable colors I had ever seen, and telling everyone who would listen about the beauty that exists in our own backyard. 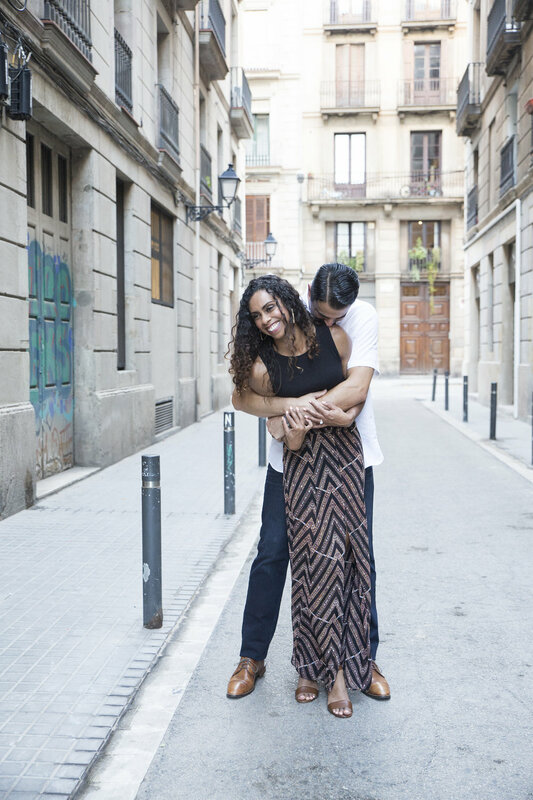 Those are a few of my tips… Flytogropher’s blog lists some similar and really practical ways for even the most opposite of travel partners to enjoy a couple’s vacation as well. From choosing a destination that has a little bit of everything, spending some time alone from your significant other (this gets a huge thumbs up from me), and being open to stepping out of your comfort zone to try something that is new for both of you. As someone who plans travel experiences for others, there is often two or more different types of people I need to keep in mind. I want the experience as a whole to be good, and for everyone involved to enjoy themselves immensely. Sometimes that takes a little strategy, but I think in the end it’s worth it. We are all individually inspired and motivated by different things when we travel. Keep that in mind, and contact me to have my assistance in mapping out what that looks like for you and your travel partner!